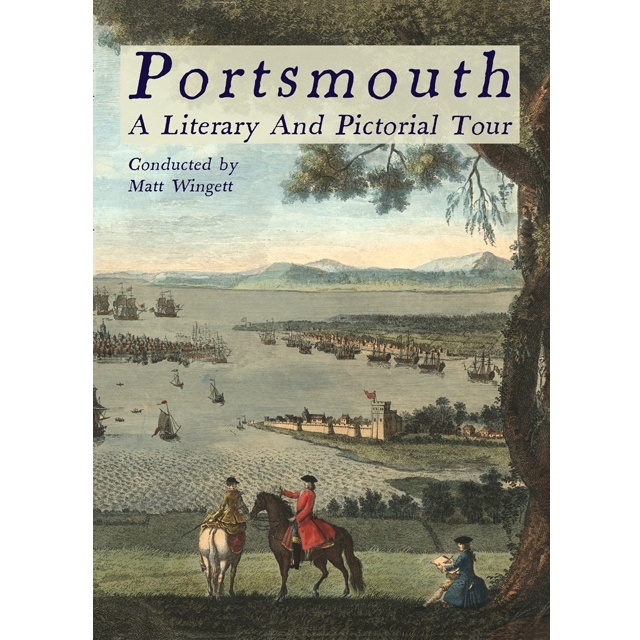 Join local writer Matt Wingett and see Portsmouth through the eyes of writers such as Charles Dickens, Beatrix Potter, P G Wodehouse, H G Wells, Sir Arthur Conan Doyle, Olivia Manning, Neil Gaiman and even Mahatma Gandhi. From the heights of Portsdown Hill to the crowded streets of Portsea, from the chaos that was Old Portsmouth to the beaches of Southsea and even the skies above, discover just what writers famous and obscure wrote about the town. On the way, you will meet carousing sailors, enterprising bumboat women, obsessive fortune-tellers, fallen women, moral and immoral landladies, treacherous pilots, disapproving generals and many more characters both fictional and historical in this personal and slightly eccentric tour. Crammed with 111 illustrations, many in colour. Each location is illustrated with a picture taken from the author’s personal collection, and accompanied by stories, facts, quasi-facts and complete fictions in an exploration of the literary heritage of the town. Has maps at the rear so you can follow the tour yourself. For anyone interested in Portsmouth, great writing and history, this is the perfect read.